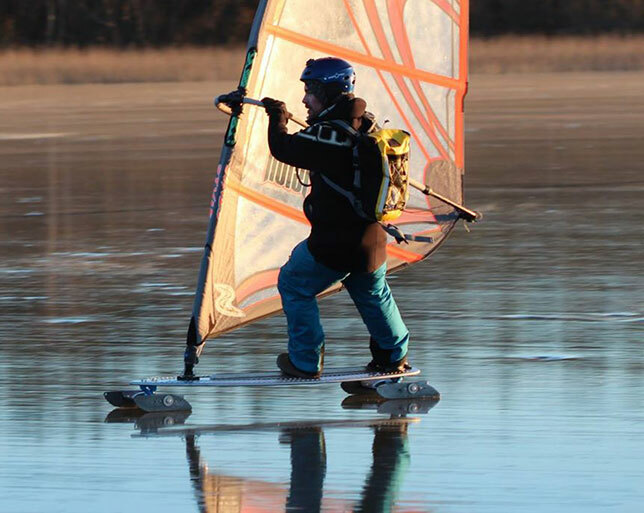 My name is Tobias Bodin from Stockholm – Sweden, a dedicated windsurfer during the water season and heavily addicted to iceboarding during the winter season. 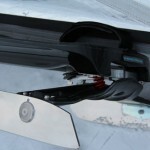 Claes at Boardtests asked me to give you my thoughts and ideas about iceboarding Equipment. The dimension of the Speed ​​board: 1500mm with 1400mm between the truck centers and the mast foot 1500 mm from the front truck. Truckarna (180mm) has 44 grade angle and has 98a bushings. The front blades are 350x80x4mm and the back blades are 450x80x4mm. 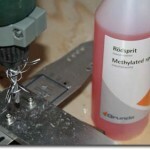 The grinding has a angle of 85 degrees and a radius of about 30m or 1mm air in front and back. The dimensions of the Slalom board: 1500mm with 1300mm between the trucks and the mast foot 100mm from the front truck. The trucks have an angle of 50 degrees are equipped with 92 (bushings) in the front and 98 in the back. 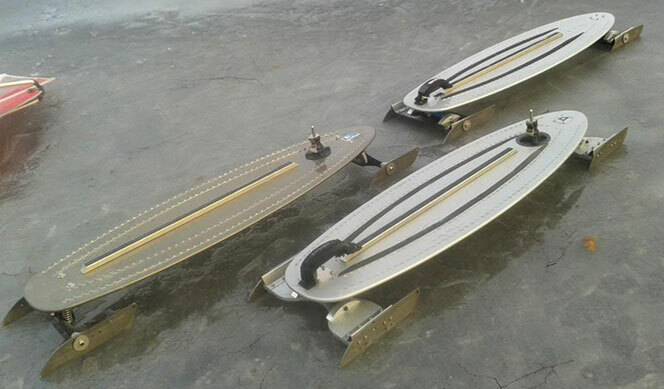 The front blades has dimensions 300x80x4mm and the back blades 350x80x4mm. 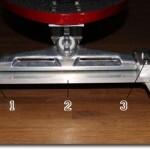 the slalom board blades are made of 3mm titanium. The idea was that this board would start fast and give me acceleration on the Short Track Slalom (STS) track competitions. The weight of the carbon board, including loads of reinforcement, landed on 6.7kg. As planned the carbon board became a really fast starter and gave me very good acceleration up to a certain wind speed. But in some wind speeds on the STS track I’m not sure that I experience any advantages regarding the lightweight. For this year I thought I would try some new ideas regarding my sail line. I´ve been thinking back and forth if I will use wave sails or camber sails. 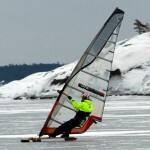 When you start windsurfing on ice you might think that your favourite sails from the water season would work as well on ice, this is only partly true. Small cambered race sails has proven to work really well, just look at our world champion 2015 Stefan Söderlund who scored second place in course race and first place in short track slalom with his MauiSail TR6 5.5. 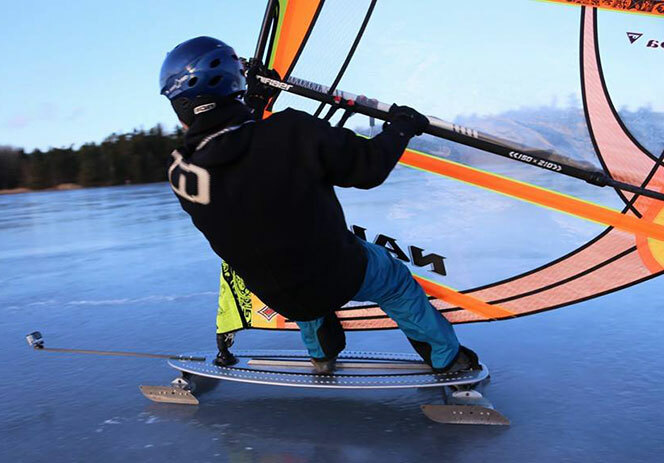 The advantage of full race sail on ice is that they are pretty good allrounders, great for slalom and speed but you will also be able to use them for freeride and freestyle as well. My personal record sail is Sail Loft Curve 4.0 from 2008 hitting 47 knots on a small lake north of Stockholm with start and stop within approx. 1 000 m. I know the curve very well since I use the Curve on water as well. As a compliment to the curve I would like to try a cambered sail in the same size but it’s hard to find slalom sails as small as 4.0 sqm. For light wind sailing I use my Mauisails Blaze 7.5, I will keep it, but I’m convinced that the Sail Loft traction from -08 will be the best light wind sail the question is whether it is better when it comes to upwind performance on a course race track. That remains to be seen. I will also experiment with stiffer masts to obtain a tighter leech. My experience from last year course races was that its was very hard to hang on to the best guys with my Mauisails Blaze 7.5, I would say that when it comes to course race a full on race sail is the way to go. Tack! ja hoppas det upplyste någon. När det gäller tillverkningen av brädor så har det inte blivit nån större produktion av kompletta brädor iår. Så det blir mest custom och lite ändringar av alla gamla brädor till mej för tävlingar. Brädorna har hållit bra så man kan ha dom länge. Men visst så kan vi byta ide´r med varandra.